from nothing to nothing, the journey is celebrated for its imperfections, and in some way, the transitory markings we make, or impact upon, other people and things. within this impact, one can realise the concept of Mono No Aware, or the pathos of things [ link ]. Japan is not the only place to observe the impermanence of things, though it offers a contrast to Western art and design, where minimalism and perfection are intertwined. these days, it is not a foreign concept that any given culture is going to discover everything it needs, nor is it going to have all encompassing definitions. rather, we are born into our personalities, and in some cases, elements of ourselves must find a definition outside our native culture and/or language. intuitively, we can understand a persence, or a way we do things, which have yet to be described properly. we can successfully go through life without finding out these succinct terms, or definitions, and appreciate when we do find them in greater measure with age. in language, we readily adopt foreign words to describe succinctly a modern emotion, action, or term. in visiting Japan, and coincidentally beginning to watch movies by Yasujiro Ozu, the terms of wabi-sabi and mono no aware were as innate as the concepts of breathing and drinking water: they just needed to be alerted, recognized, and then conveniently found in the same physical location. once recognized, it provided a means to offer an imperfect description of such an implicit understanding present throughout life. 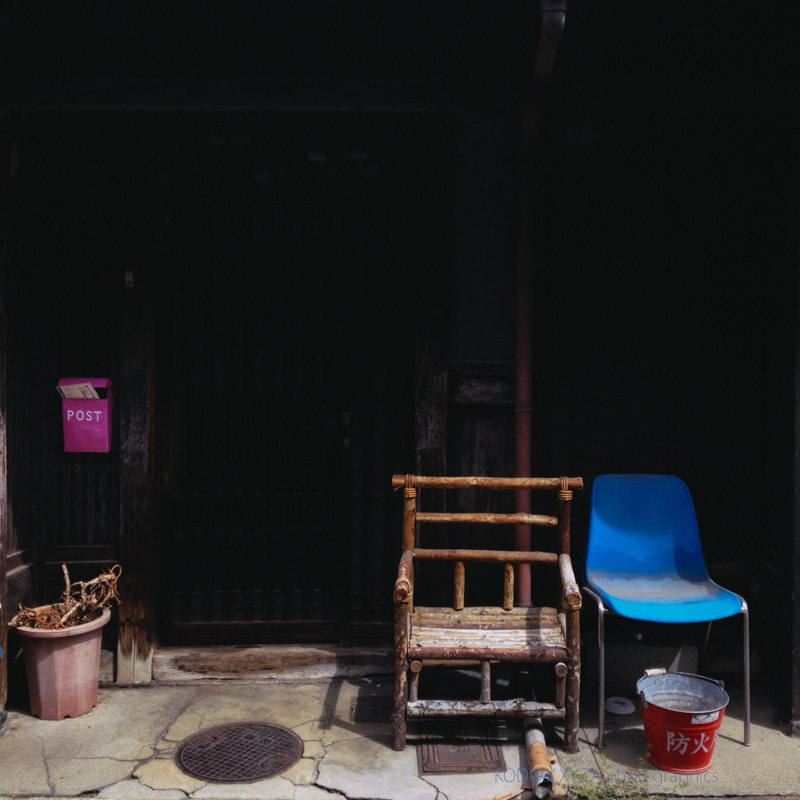 thus, Japan is a protagonist in this book project in how it offers impermanence and imperfection in everyday objects. more importantly, it becomes a form of "street photography" in which the presence of people are photographed for their indelible mark and implicit presence; all the while the emotion of that transitory — even fleeting — presence is sought to be represented in a photo. what is harmonious in Japan, as attempted in these photos, can be seen as highly contrasting elements in outside cultures. this contrast is then an underlying concept in the sequencing of photos, which is best approached in book form. as many other cameras were used during the trip, it is the case that more photos need to be integrated and/or replaced in the project as it stands right now. thus, the gallery samples photos in this project are curated from a mobile photography perspective, and all selected photos available Dunked.com site [ link ].